Description of "German B2-C2 Schreiben"
There are multiple books and Million Articles available, which gives an insight of a specific topic. 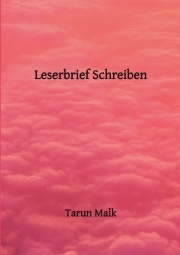 In this Book different topics in German Language are covered, which gives an overview of structural writing techniques with the use of phrases, which shall thus be very helpful for German Language examination such as B2-C2. It is also gives key points on different topics, which shall be helpful in Oral exams. I am a professional German Translator for the last 10 years, who loves language speaking and writing by whole life. A professional by day and a writer by night, who sheerly believes in creativity and knowledge sharing. Reviews of "German B2-C2 Schreiben"